If you are looking for excellent quality Hard Rubber Mouth Bits you came to the right place. Here at Horse Tack Now we strive to offer the finest products availiable. 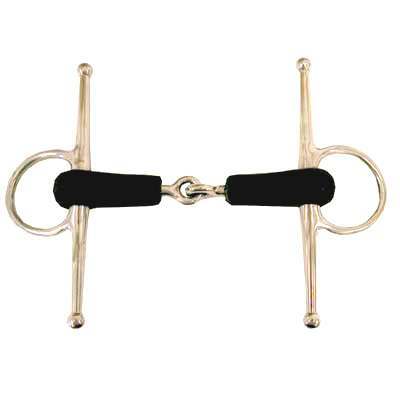 The Full Cheek Bits with 5 1/4'' Cheeks that we offer is a Top Quality item for your Horse. This item give lateral control and measures 1 1/2'' in rings and 18mm mouth. Rest assured you are only getting excellent products for a less than wholesale price. This item is made of top quality materials that will last many years. If you are in need of a rubber mouth full cheek bit this item is just what you need. All our items are sold at unbeatable discount prices.